Your students are going to go places. Foster entrepreneurial skills in students. Here are some tools that can help them get there. Do you think any of your students are going to be the next Arianna Huffington or Steve Jobs? That’s ultimately up to them to determine, but there are ways that you can foster an entrepreneurial attitude. Introducing students to tools that will foster their creativity, critical thinking, and money management will help get them into an entrepreneurial frame of mind. 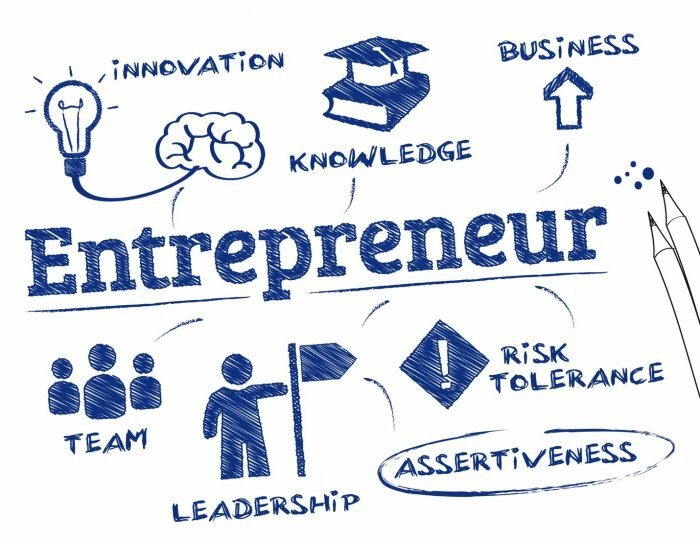 There are a number of different tools out there that you could use to foster entrepreneurial skills in students. I’ve assembled eight of the most interesting ones for you today. Students make countless presentations, so why not make it more interesting? Prezi is like PowerPoint’s cooler, younger cousin. Prezi allows for such creative flexibility as a path tool that allows you to structure linear presentations that move around the screen and zoom in and out on specific elements. They’re much more entertaining to watch and require more creative planning. A tool like Prezi shows students a nontraditional way to write a presentation, a very useful skill for grabbing an audience’s attention. Prezi Collaborate also allows up to ten people to co-edit one presentation, great for group work. Kahoot! is a tool that enables students to create in-class questionnaires and quizzes. The tool is compatible with a number of devices and utilizes a game-like atmosphere. Students can learn to gather feedback and analyze data; skills that will come in handy for market research, customer feedback, user experiences, and many other metrics. There is a good chance students won’t be the biggest fans of this one, but it’s for their own good. The cleverly named Cold Turkey is a tool that allows you to block applications, websites, or the entire Internet in order to keep you focused. Because let’s face it, most of us need help focusing. I have 14 tabs open in my browser right now. Learning to train your focus and crunch down on a project is an extremely useful skill that I’m still learning. Quizlet is a mobile and web-based study application that allows students to study information via learning tools and games. It is currently used by 2-in-3 high school students and 1-in-3 college students in the United States. Quizlet is the easiest way to practice and master what you’re learning. Create your own flashcards and study sets or choose from millions created by other students — it’s up to you. Venngage is an infographic software with a library of pre-made templates. Many educators have introduced infographics into their classrooms because of the opportunity for cross-subject skill building. According to the 2008 Cisco Report, multimodal learning methods that are learning methods that use both visual and textual teaching styles increased students’ retention of both basic skills (such as learning chemical symbols, individual learning through reading) and higher order skills (critical thinking and problem solving). Having students work on infographic will engage not only both their visual and textual skills but also their data visualization skills. These cross-subject skills are critical for small business owners, who often need to wear different hats. Skype may be old news, but using it in the classroom will introduce students to the nuance of communicating via video chat. Skype is also a great tool for inviting guest speakers from around the world, introducing students to a wider scope of connections. Odds are your students have already used video chat on more than one occasion, so why not introduce it to the classroom setting? There’s a stereotype that Pinterest is for girls, but let’s just toss that idea out the window, alright? After all, a study conducted by Lise Eliot at the Rosalind Franklin University of Medicine and Science shows that children, male and female, only realize that they should be playing with “boys’” or “girls’” toys after they’re three years old. So let’s try to unlearn that and focus on how awesome a tool Pinterest is for finding inspiration, information, infographics and more. It’s also a great way for students to share their work with others. Sometimes we all need a little help. And students can really end up feeling the pressure. Unstuck is an app that will help you out with you’re stuck with a problem. It asks you questions about your problem and then categorizes the kind of “stuck” or “write my essay” you are and provides ideas for overcoming the problem. It won’t solve all of your problems but it will give you a little nudge in the right direction, and that can be a valuable lesson in tackling problems one small step at a time. I’m a relatively young person and I still fall behind on the latest apps my younger siblings use. I think it’s worth it to ask students what tools they use on a regular basis and to look for ways to incorporate those into your classroom activities. After all, that’s how you encourage innovation, by identifying gaps where new technology and approaches can be used to achieve even greater results. That’s at the heart of entrepreneurship.